Fireplaces form the centre of attraction of every house. The fireplaces are not only meant to keep the peoples warm but it also acts as a place that brings people together at one place. Well we at Atlanta Fireplace do understand that most of the romantic moments also happen in front of the fireplaces. The fireplaces Atlanta gives you a warm and the most comfortable setting in the front room. You will have embers popping and also the fire burning in the background where you can spend beautiful moments with your loved ones. Talking about the fireplaces in Atlanta, we help you to create an atmosphere of warmth, comfort and full of romance. Having a fireplace nowadays has turned out to become a trend; every second home has a beautifully designed fireplace. The best things about Atlanta fireplaces are that they have a variety of designs and modern ideas to provide you with the best fireplace in Atlanta. It is not a problem if you want to have a traditional fireplace we even provide you with that. We look forward to our clients, about the type of fireplace they want whether it is a traditional one or they would love to try new concepts and ideas, the new fireplaces designs. 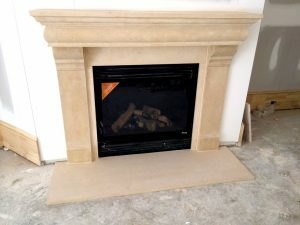 What makes fireplaces Atlanta different from others is that our fireplace designs are unique, have beautiful appearance, we focus on new concepts, have different accessories and most important very affordable. Atlanta fireplaces do understand that how important it is to have a beautiful fireplace and it definitely matters a lot. So, we look forward to plan the appearance of the fireplace that you want to have before constructing or remodelling them. Basically the fireplace you are looking for should also match with your interior of the house. How using fireplaces Atlanta becomes helpful to you? We have a range of fireplaces and give you a variety of options to choose from. If even this is not enough, our experienced fireplaces Atlanta craftsmen are always ready with their tools to help develop your kind of style and design on your fireplace. The best option about having a fireplace is to choose a custom designed fireplace; this will not only compliment your room but also add an extra beauty to your home décor. If you have any kind of fireplace design in your mind, the Atlanta fireplaces consultants and designers can work with you and help you get the best-designed fireplaces in Atlanta. We will guide you with the designs that you can choose from and also improvise on your choice to bring out the best. Not only with the designs but fireplaces Atlanta provide you with best materials to build your fireplace with. It certainly depends on the look and feel of your home. You can look for Wood mantles if you have a traditional house or go for the stone fireplace mantle. Atlanta fireplaces provide you with budgeted fireplace, you can seek advices from our designers about the budget of preparing a fireplace that you need and plan accordingly. Fireplaces in Atlanta also make sure to provide you with proper accessories that go with the fireplace, as it is also one of the most important concerns while designing a fireplace.